On November 28th the new re-freshed 2019 Nissan Murano made its debut at the Los Angeles auto show! 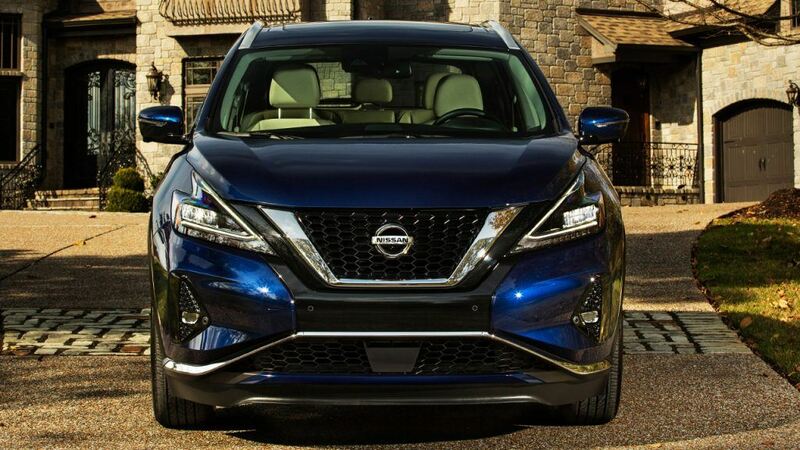 Showing off it’s more aggressive and updated looks and a suite of new technologies, the 2019 Nissan Murano shows why it’s the leader of the pack when it comes to near-luxury CUV’s! Starting with the front, the fascia has been designed with a more pronounced front V-motion grille that provides a uniquely Nissan look and feel. You will also notice redesigned LED headlights and taillights, new LED fog lights adding to the high end look and feel. The Murano will be sitting on new 18-inch and 20-inch aluminum-alloy wheel designs. All of these new design elements really set the Murano apart from its competitors and look amazing in the two new exterior colours – Sunset Drift and Deep Blue Pearl! The changes don’t just stop there. Inside you will find three new interior trim finishes with Dark Wood-Tone on the Platinum trim, and Light Wood-Tone or Metallic on the S, SV, and SL trim levels. 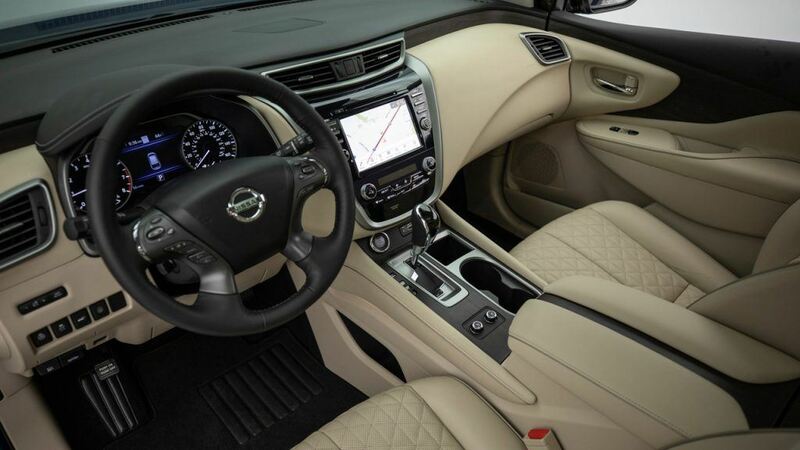 In the Platinum trim level; Murano introduces new semi-aniline leather seats with diamond quilted inserts and contrast stitching and piping on the seats and door arm rests. Further enhancing that luxurious feeling! When it comes to technology and safety, the new 2019 Nissan Murano is at the forefront! 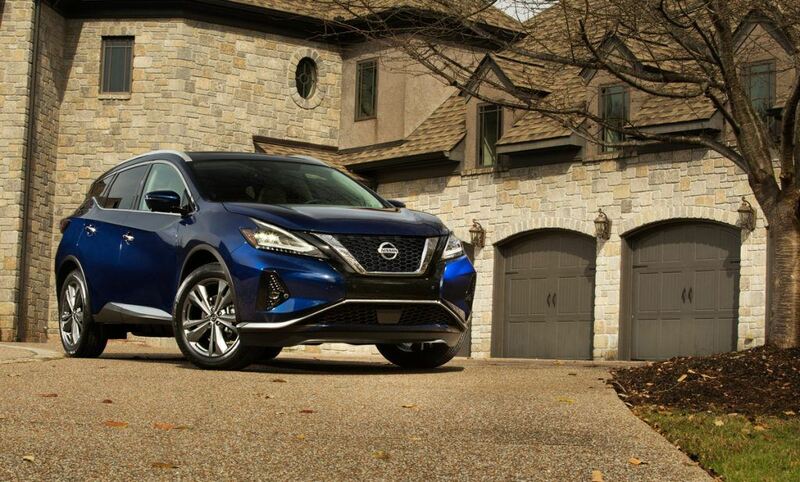 The innovative Rear Door Alert system will come standard on all Murano trim levels. This new technology with alert you if you have left something in the rear seat, including children or pets. It works by providing you with an alert in the gauge cluster and will honk its horn as you walk away from the vehicle. The Nissan Safety Shield 360 technologies are a suite of six advanced active safety technology including Intelligent Emergency Braking with Pedestrian Detection, Blind Spot Warning, Rear Cross Traffic Alert, Lane Departure Warning, High Beam Assist and Rear Intelligent Emergency Braking. Safety Shield 360 will be standard on Murano Platinum and as part of the SL Technology Package. Standard on all trim levels are features like Apple CarPlay and Android Auto with an 8-inch touchscreen display! What stays the same? The legendary 260-hp 3.5L V6 has been a mainstay in the Nissan lineup for years. It offers reliability, fuel efficiency and power all in one package! You also get an advanced Xtonic CVT transmission, and intelligent All-Wheel drive. If you want to learn more about the re-freshed 2019 Nissan Murano ask one of our friendly and knowledgeable sales consultants! For amazing offers on the 2018 Nissan Murano’s or to view our inventory please click here.